This year for Halloween we’ve created a list of our favorite sporty characters and superheroes from books, movies and real-life. Halloween is only 20 days away, which means now is the time to get serious about your costume. But who should you be, and how do you create the perfect outfit? Take some inspiration from the list below, and make sure you wear your Zamzee on Halloween night so you can rack up major Pointz while trick or treating! Princess Merida can ride a horse faster and shoot an arrow straighter than any prince who might dare to claim her hand. To dress up as Merida you’ll have to ditch the glass slippers for a pair of sturdy boots, which only means you’ll be able to walk to that many more houses on Halloween night. If you’re feeling crafty, take inspiration from this great Sew Can Do tutorial on how to make a Princess Merida costume. 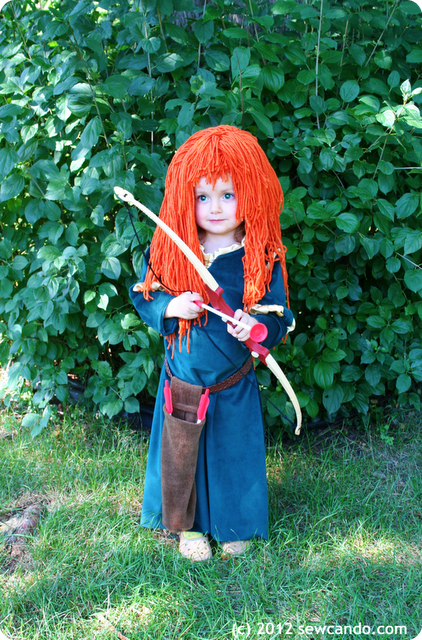 If you’re not quite ready to whip out that sewing machine, you can do a mighty fine job covering the basics with a blue dress, red wig, and toy bow and arrow.